In June of 2014 I was back up in Scotland for a meeting with my friend Campbell. Whenever we are in Scotland we try to visit some distilleries and we also try to fit in a walk along the coast. If at all possible, Campbell tries to time our walks for when the weather is moving in, and also for when I have left my waterproofs back at the hotel. In the past he has done this with amazing success. 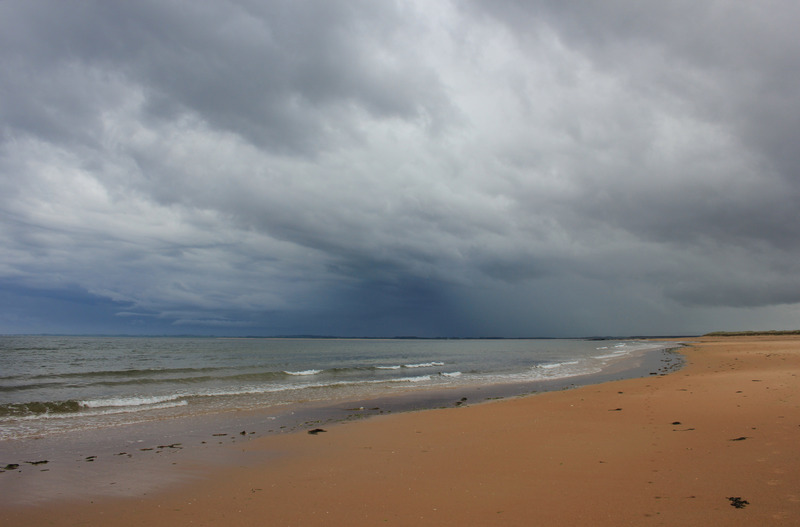 This time we stayed in Dornoch and I was determined not to let my trouser pockets fill up with raindrops again. So when I left my waterproofs in the hotel room this time I made sure I did it when the weather wasn’t moving in. But this was Scotland. The weather is always moving in. Oh dear! 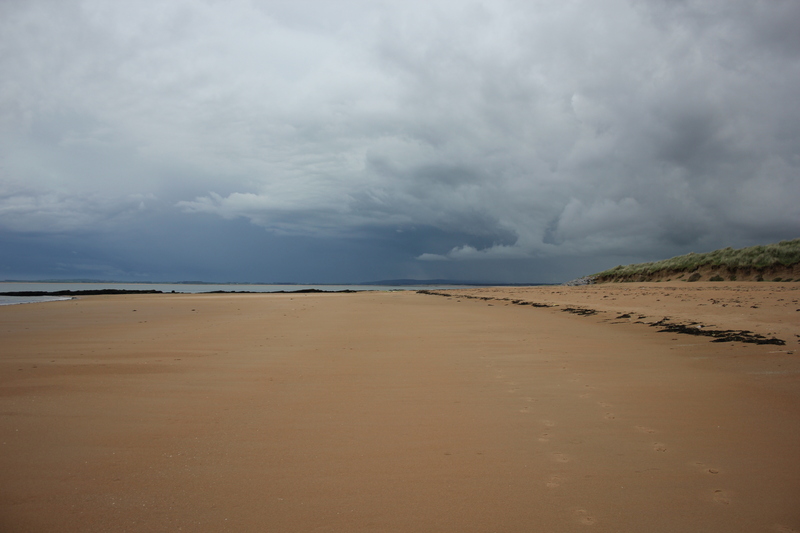 We walked out of the town centre and through the Royal Dornoch Golf Club to get to the coast. Beyond the golf club we hit the beach at exactly the right time. The sun still shone on the sands, but in the distance the clouds were rolling in, and on the horizon we could see a bank of rain. Campbell almost melted in anticipation as I yearned for the waterproofs I’d left in my room. Dornoch is Gaelic for “Pebbly Place”. We found rocks here today, but no pebbles. Rather, the pebbleless flat sands stretched away into the distance. All the better to draw my eye up to the rain clouds on the horizon which were making their way over. One thing we did find on the sands were the husks of sea potatoes, a type of urchin. 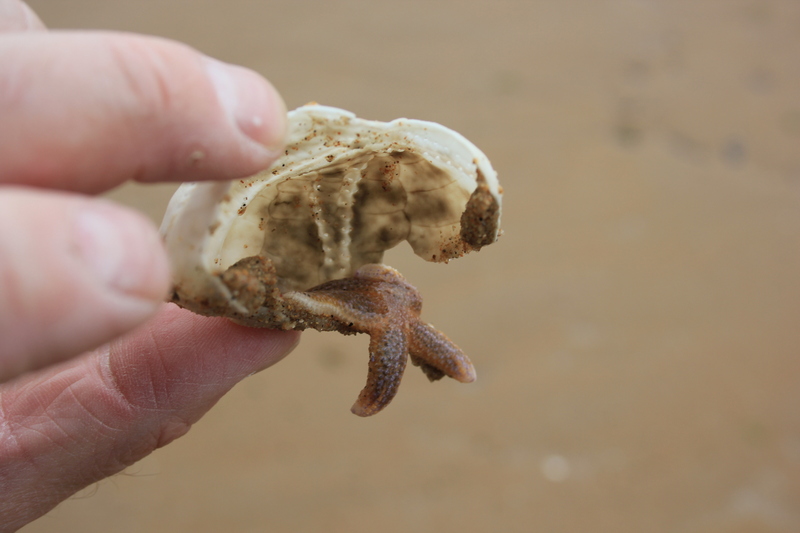 More than a few of them had starfish hiding inside. What was going on here we had no idea. All we knew was that when the rain started to fall (and fall it did) the starfish had sea potatoes to hide under but we did not. The rain droplets were plump and heavy, but not too aggressive at this stage. We got a bit wet but this was not a drenching, at least not yet. Still, there was more to come and it was bringing heavier rain with it – look! We decided to turn around and head back. As we reached the outskirts of Dornoch something caught our eye. It was a stone, dated 1722. 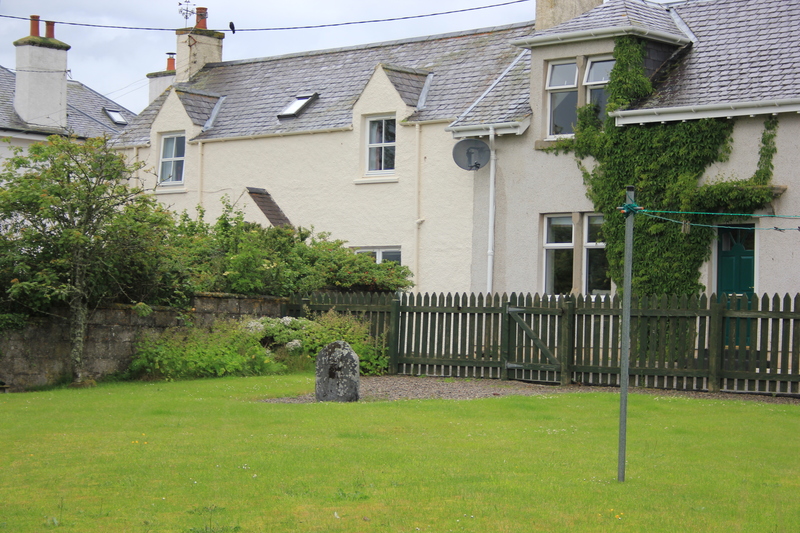 This stone marks the exact site of the last recorded burning of a witch in the British Isles (although not the exact date, for the date on the stone is wrong. The burning actually took place in 1727). The poor woman in question was Janet Horne. Once a lady’s maid, by 1727 she was old and exhibiting signs of what today would be accepted as dementia. She lived with her daughter who had deformed hands and feet. Presumably it was these deformities which gave her neighbour the idea of accusing Janet Horne of allowing the Devil to shod her daughter so he could use her as his pony. Both mother and daughter were arrested, tried, found guilty, and sentenced to be burned at the stake the next day. The daughter managed to escape, but Janet Horne was not so lucky. She was stripped, smeared in tar, and paraded through the town. When she arrived at her place of execution she reportedly smiled and warmed herself by the fire, oblivious to the fact that this was the same fire which would shortly consume her. Poor old Janet Horne. Her place of execution is now steeped in domesticity. It lies in the garden of a house. The owners hang their washing next to it. We gave poor Janet Horne a thought and wondered what happened to her daughter. 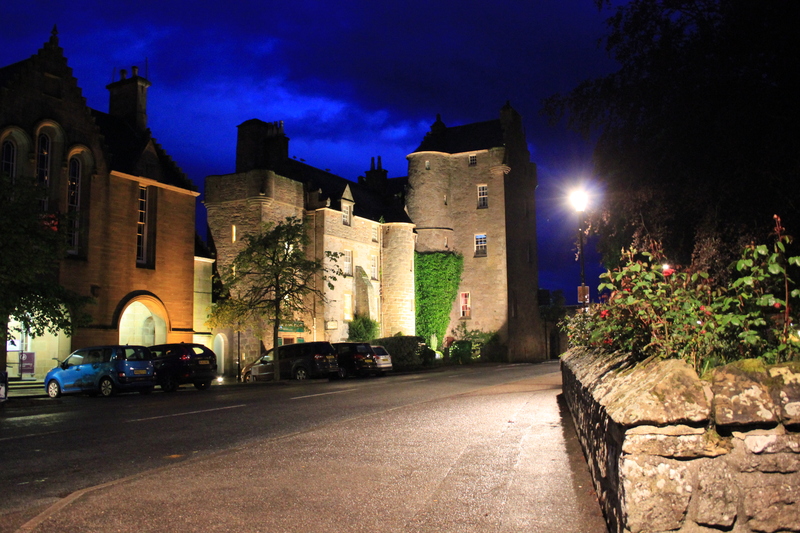 Then we returned to our hotel, the Dornoch Castle. A most impressive hotel, we spent our evening at the bar where we sampled some incredible whiskys. For any whisky lovers, Dornoch Castle is a must-do. The owners are incredibly friendly and spent a good couple of hours with us stood in front of their bar. I won’t tell you how much the most expensive dram of the evening was, for like some whiskys it would make your eyes water. What I will say is that it was a 1960’s Bunnahabhain and it was worth every penny. 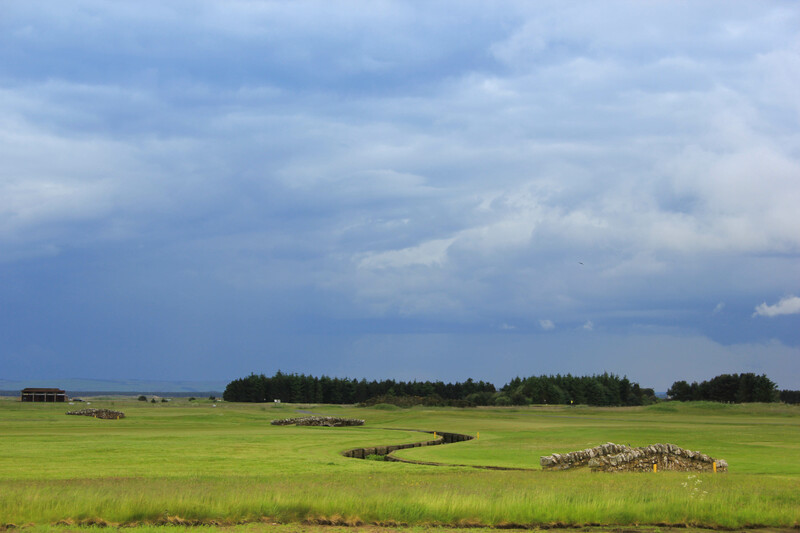 Dornoch is a beautiful place. I hope to return one day. 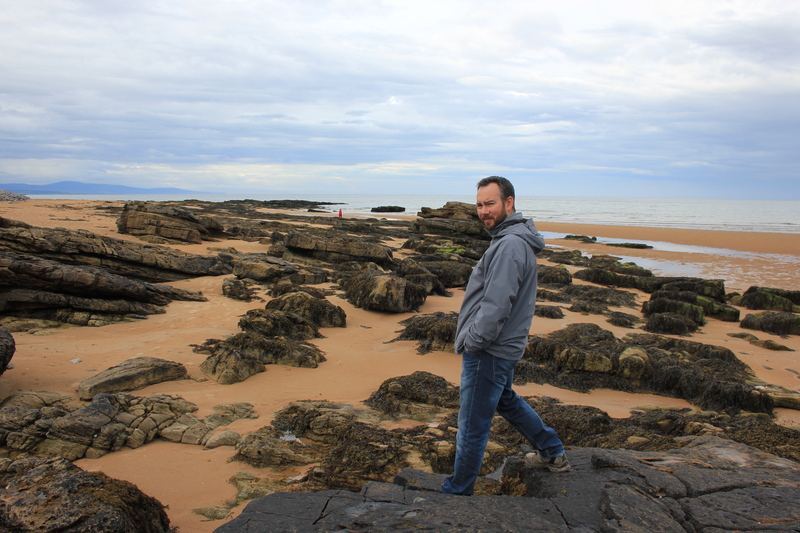 This entry was posted in Scotland, Whisky and tagged coast, Dornoch, rain, Scotland, sea potato, starfish, travel, urchin, walking. Bookmark the permalink. 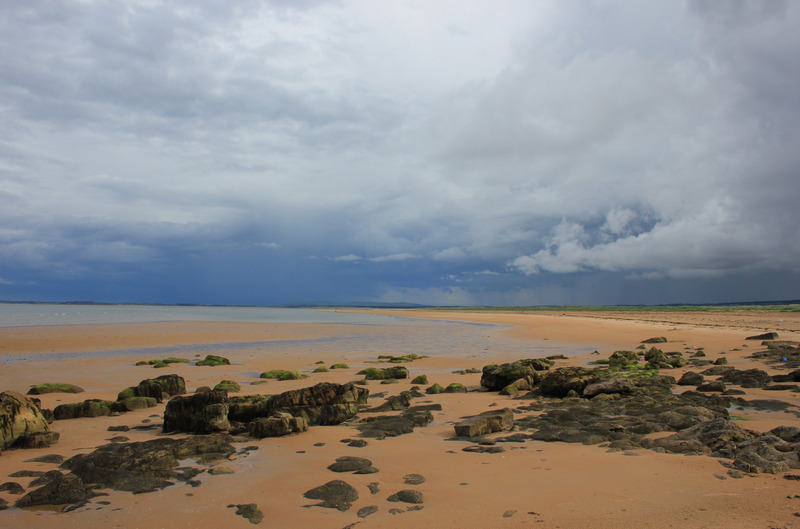 Dornoch is indeed one of the most beautiful places in the world, as is much of Sutherlandshire. Ach, thanks for the great photos. Can’t wait to return. Really Nic, I thought I’d trained you better. When staying in Scotland always take your waterproofs with you … even if you are only going to the shops! Anyway, I’m glad to hear that you got wet on the inside too! Clearly I need to come back for more training. When is the next Scotland trip?! ?